Hello guys! I finally got myself together to write this post. 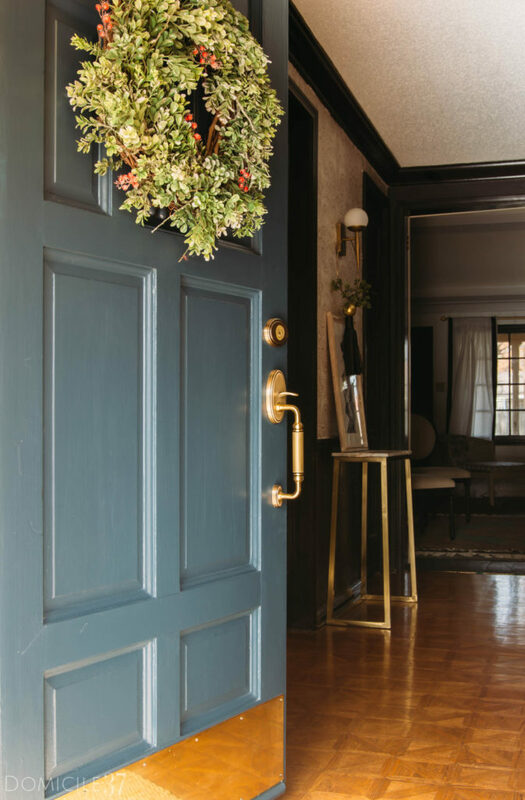 Back in October I gave my front door a makeover with Grandeur Hardware the sister company to Nostalgic Warehouse. 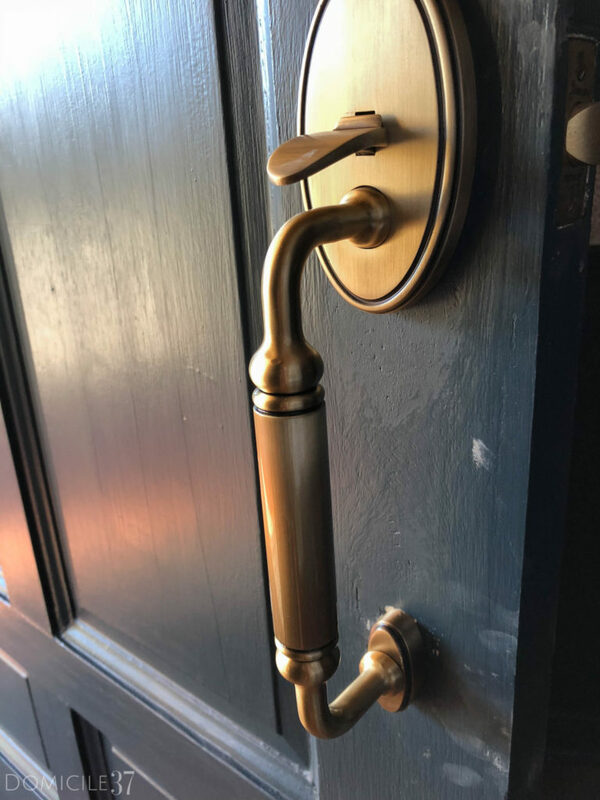 This post is done in collaboration with Grandeur Hardware. All thoughts and opinions are 100% mine and mine alone. 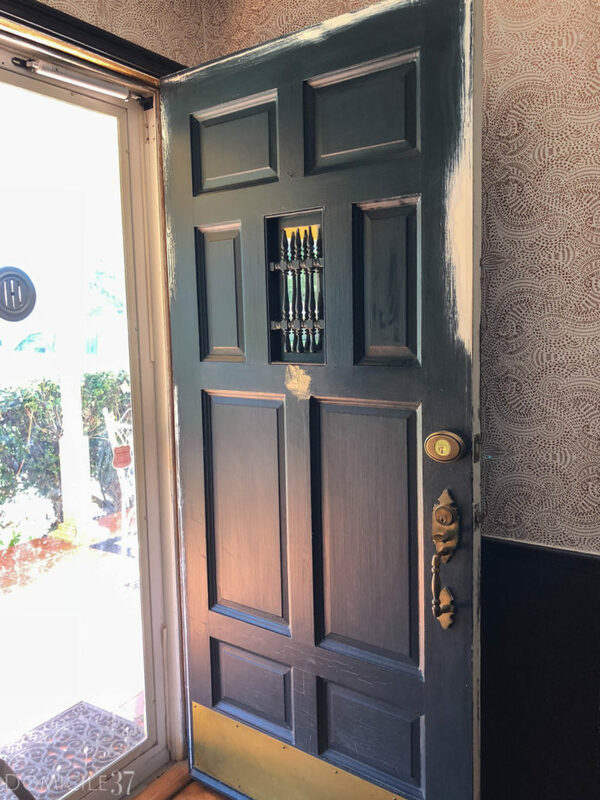 Before the facelift, the paint was cracking from the dry Texas heat and the paint around the door had lifted up due to the previous owner not allowing the door to fully cure and dry properly. 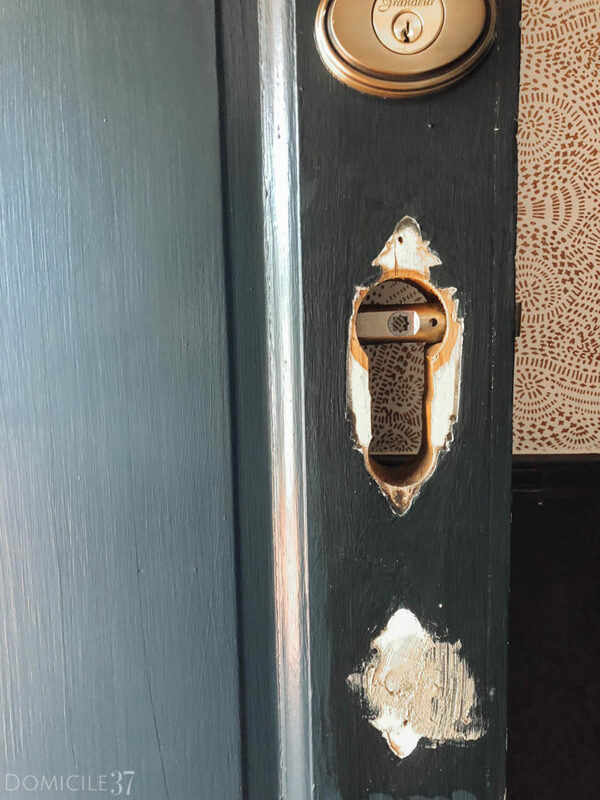 The hardware was dated and the knocker that was attached to the door said someone else’s name. I really like the color of the door so I decided to buy paint to match it, it is like a seaweed color. Sometimes I forget to take before pictures, but this is the before. Oh my goodness guys, I was shocked to see such a huge hole in the door! I used scrap wood and wood filler/putty to fill the hole. You can also use All Purpose Bondo to fill the hole. In my opinion, Bondo gives a smoother more finished look, but it stinks! My daughter, the M.C., just could not resist touching the putty. 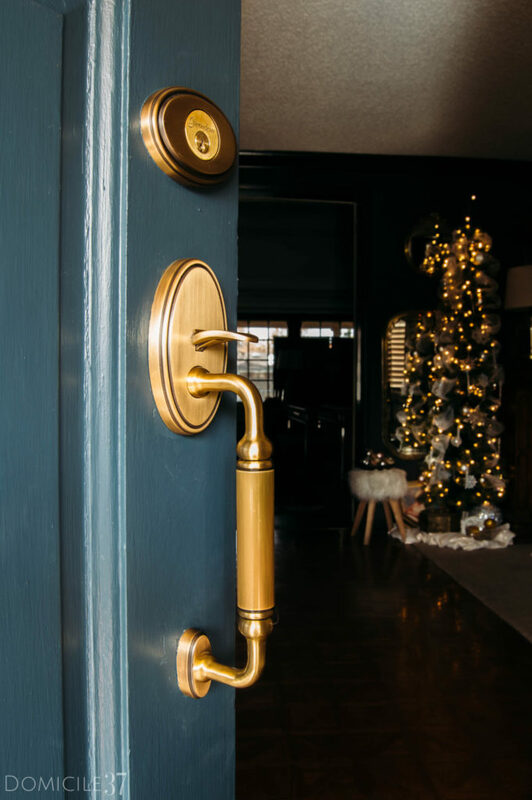 For the front door, I opted to go with the Georgetown Plate C-Grip Entry set with a circular knob on the interior side in an antique brass finish. What drew me to this set was how masculine and clean it looked stylistically. The one thing I love about Grandeur Hardware entry sets and Nostalgic Warehouse collection is how heavy and solid their pieces feel. It is definitely well-crafted! 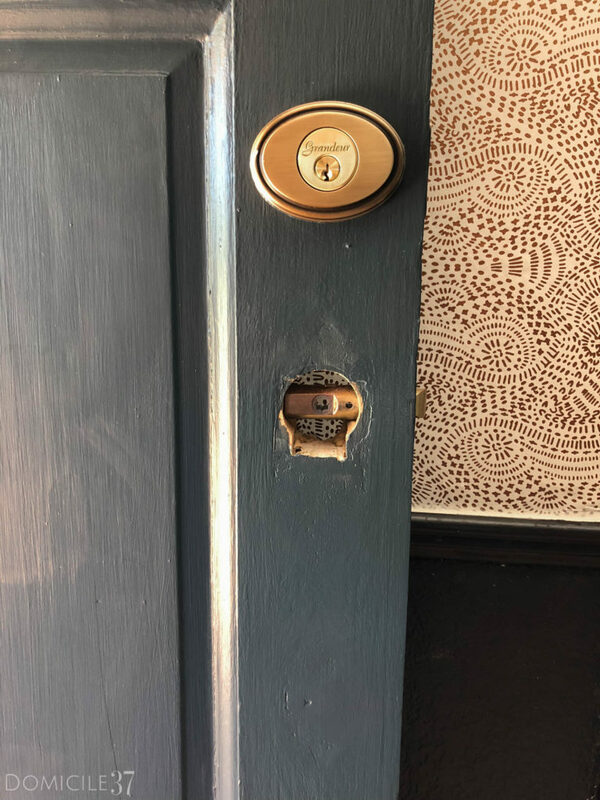 Besides me having to fill the hole this entry set was pretty easy to install. 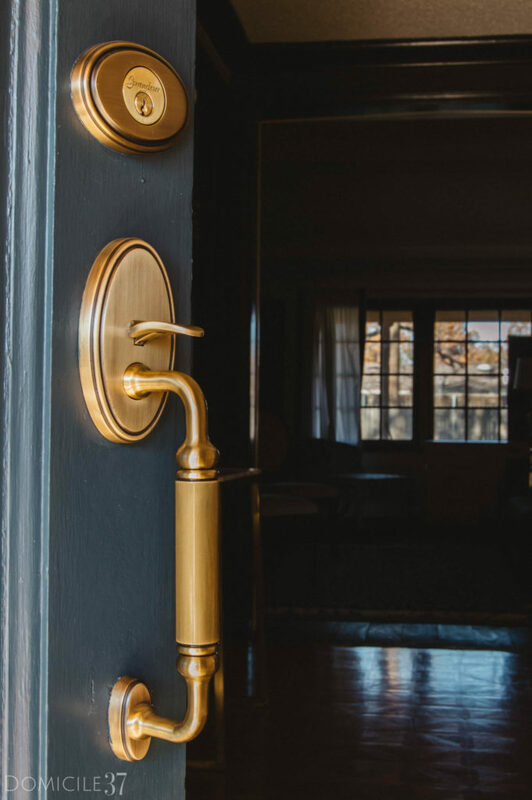 I love how the antique brass brings the door back to life! This is how the circular knob on the interior side of the entry set. 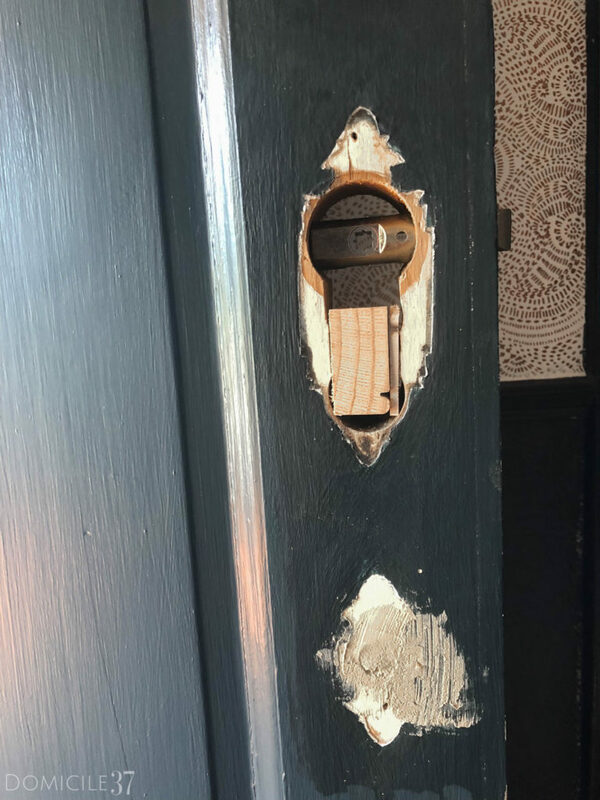 It originally comes with a lever, but I was able to get them to replace it with a knob. 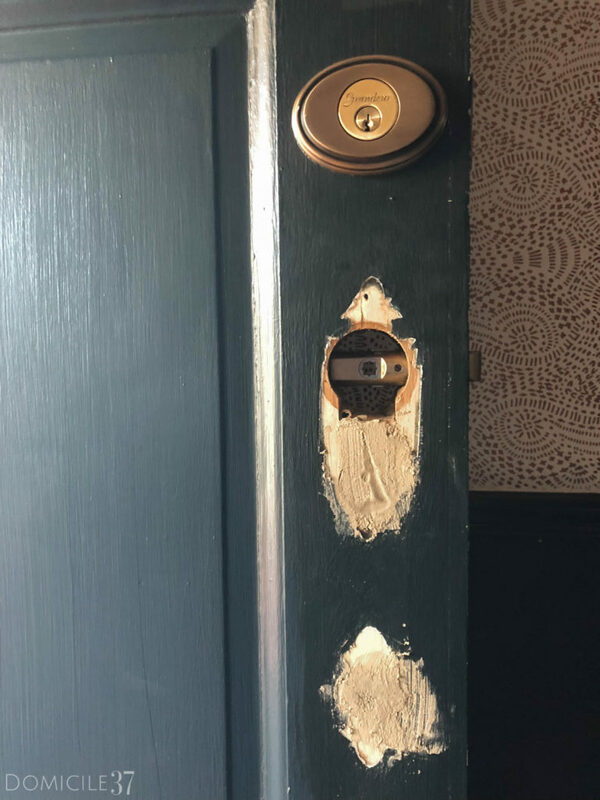 I have to repaint the back of this door due to the hole and the paint not matching the original. 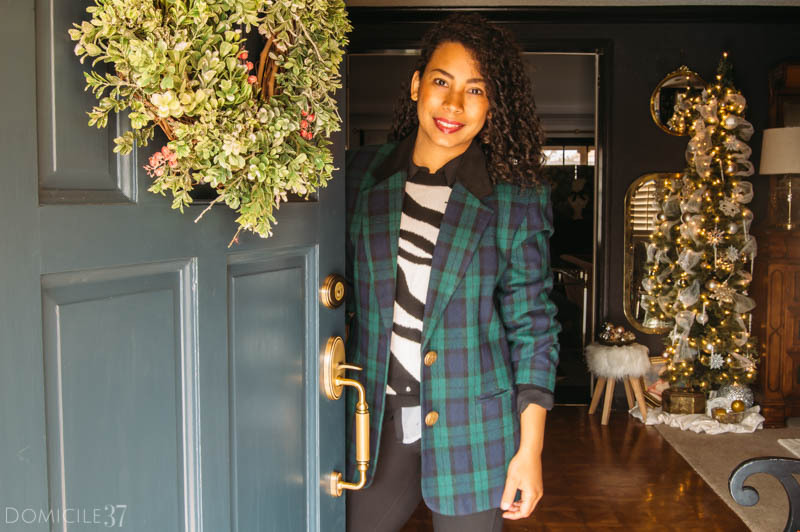 Check out my kitchen and hall makeover for more Grandeur Hardware and my Vintage Garden Shared Girls’ Room and hallway(#2) makeover for more Nostalgic Warehouse. 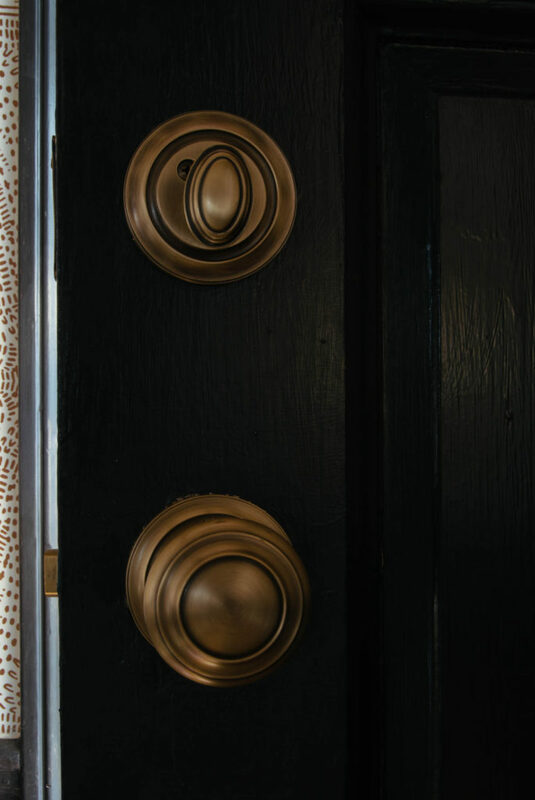 If you are on the hunt for door hardware, you may want to check out my Nostalgic Warehouse roundup for my absolute favorite hardware.